This was an ambitious project where heritage and acoustics had to be combined. The St James Centre is the new home for Youth Service and Jersey Youth FM Radio and the design required the separation of amplified music spaces from a performance venue within a common listed building structure. The element of the project considered for the award is the design and construction of two music rehearsal rooms, one recording studio and one radio broadcasting room onto the balcony of the 19th Century St James Church. 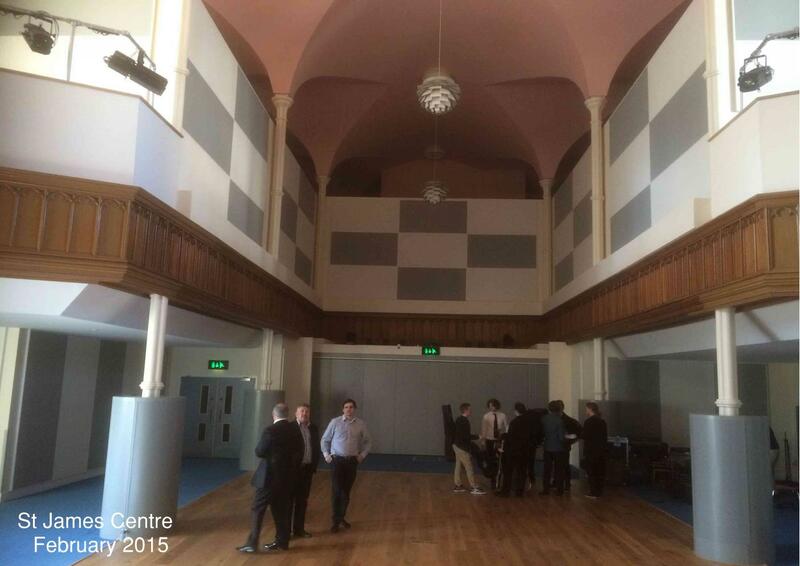 The ground floor was to be refurbished as a 179-seat multi-purpose auditorium with the apse as a main stage. The Client had very high expectations for sound insulation performance between all rooms, yet in delivering the acoustic design to achieve such expectations the listed balcony’s timber panelling, arched ceilings and steel columns all had to remain untouched and exposed. The way the consultant was prepared to work outside the usual design recommendations to achieve subjective and therefore potentially risky targets was noted by the judges. The use of auralisation to establish client expectations whilst not completely novel, has been implemented in an interesting way. A very high standard of sound insulation was required, especially at low frequencies and the consultants persuaded the client to accept a more realistic target by simulated listening demonstration. The building also provided an opportunity in which public perception of good acoustics could be demonstrated and this was a major factor in the judges’ decision to select this as the winner.